This Mountain Bike Training Plan is geared toward an Expert or Cat 1 Mountain Bike Racer. This training plan is set up for both Heart Rate and Power training. If using power, you will be tested at both weeks 1 and week 8 to reassess your improvements / progress and also set up your training zones throughout the program. This is a great training plan to start when you are already or about to start racing, and plan to peak in 4-6 weeks. 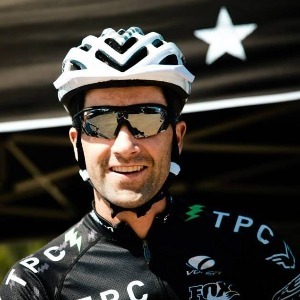 This Mountain Bike Training Plan is a 2 month training plan geared toward the mountain bike racer who wants to see fitness built while racing, but also would like options to race throughout the program. The training plan takes into account the importance and options of racing throughout the season. Starting your first weekend, you will have the option to race or do a breakthrough ride on the weekends when not racing. You will need access to a heart rate monitor and will need to know how to use it. You can do the training on a road or mountain bike. If using a power meter, you will also receive an introductory power document with this explaining the basics to training with power along with tips on executing workouts better. *When looking at the graph below you will recognize that the hours on the schedule appear longer then what I have described above. This is because the hours are based on both the racing workouts and optional hard workouts combined. Most weeks will be 3 hours shorter then shown on the graph below. Every week you will have two workouts on Saturday and two workouts on Sunday. If you have a race that weekend, then you do the race specific workouts on Saturday and Sunday(1 workout each day). If you don't have a race, then you do the other workouts those days. This is all specified in the start up document also. Very easy spin in Zones 1 or less. If you feel like you are spinning too hard, then you most likely are. This is a very easy recovery ride. Warm up well. Then ride a 30 minute time trial on flat course. Punch HR monitor 'lap' button 10 minutes into Time Trial. Average heart rate for last 20 minutes predicts Lactate threshold heart rate (LTHR). Look over your Start Up Document to see where you need to put your threshold heart rate to establish your training zones. Finish the workout with easy spinning zones 1-2 only. Ride primarily in Zone 1-2 today, with most of the time in Zone 1. Today is a recovery day, so keep it easy! Additional recovery aids include ice baths, good quality sleep, proper nutrition, and stretching. Try to get in atleast one of these aids in addition to the ride! Warm up 30 minutes. During this warm up include 4 x 60 second accelerations to expected pace for your 2 minute efforts. Then perform 4-6 x 2 minutes at Zone 5. If using power go specifically by 120-140% FTP. Use either a combination of HR and RPE(how you feel), or power, HR, and RPE. Very important you go by feel for these as your HR most likely will not reach it's max in 2 minutes! If you don't have power, try to pick a section of road or a short climb for these. Mark a point that you think you can hit every 2 minutes and equals a max effort for that time frame. Hit that point every time in 2 minutes and you are spot on! If you have anything left after 6 of these, do one more maximal effort with whatever you have left. Today's workout is a maximal day, so leave nothing left. Take a full 4 minutes rest between these efforts. This is extremely important, so do your best to take the entire break. After the intervals, spin easy zones 1-2 for the remainder of time. Ride Zones 1-2 mainly including 3-5 x 30 second accelerations within the workout. Take 2-3 minutes between these. These accelerations should be build ups to race pace(Zone 4). Warm up 20-30 minutes including 3-5 x 30 second race pace build ups. Take 2 minutes rest between each. Show up to the line 10 minutes before your start. Race smart!